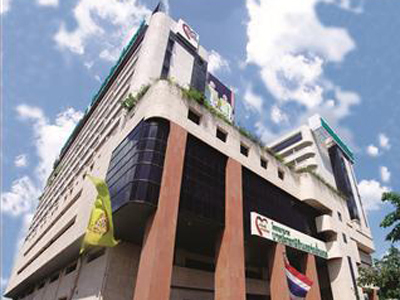 Bangpakok 9 International Hospital was established in 2003. They are committed to providing healthcare with world-class standard. The Bangpakok Hospital Group has 6 hospitals headed under the same management team which are home to a range of medical facilities including centers for heart, orthopedics, plastic surgery, anti-aging, dental and aesthetic and skin care. Bangpakok 9 International Hospital is outstanding for the following specialty fields. Heart - The most celebrated departments, recognized for its focus in providing excellence and advancement in cardiovascular medicine. The department covers all comprehensive approaches to cardiovascular medicine from diagnosis and treatment to rehabilitation. Orthopedics Center - The most celebrated in South-East Asia. Bangpakok 9 International Hospital offers the very latest diagnostic, treatment methods, integrated into comprehensive care programs, Sports Medicine (shoulder, knee & hip), the Spine and Hand surgery. Plastic Surgery – If you are thinking of changing your appearance, whether it be breast enlargement, liposuction or even work on your eyelids, you can rely on Bangpakok’s Plastic Surgery Center to deliver premier results. Gastric Weight Loss Surgery - Gastrointestinal Center is home to state-of-the-art equipment and has doctors who have trained medicine internationally. On top of the excellent medical services provided, Bangpakok 9 International Hospital offers low cost pricing, without sacrificing quality and care.